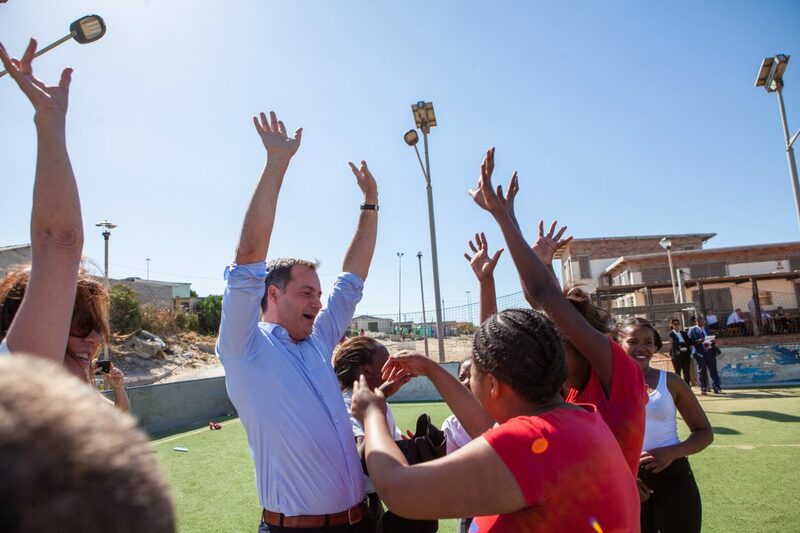 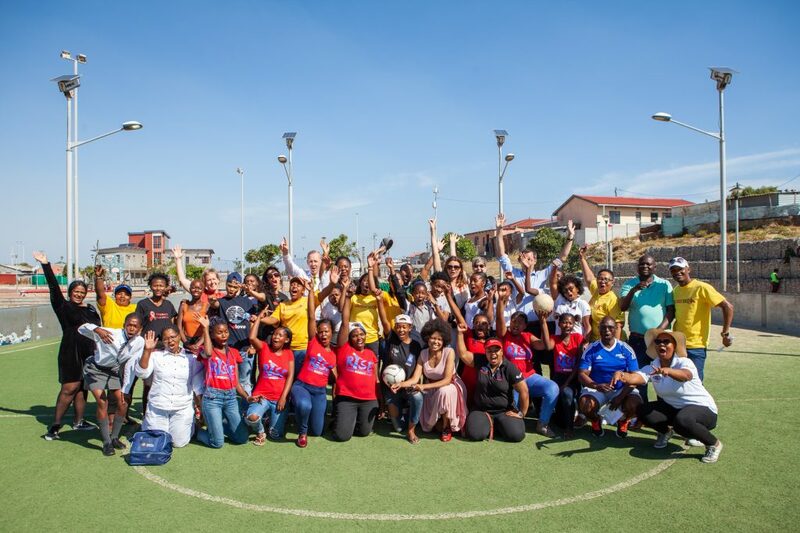 KHAYELITSHA, SOUTH AFRICA — Grassroot Soccer (GRS) kicked off World AIDS Day commemorations and activities in Khayelitsha Friday with Belgian Deputy Prime Minister Alexander De Croo, Dr. Catherine Sozi and additional UNAIDS colleagues, Desmond Tutu HIV Foundation, Soul City Institute, Makhulu Productions and Slingshot Media – highlighting the amazing work that young people are capable of when supported and empowered. 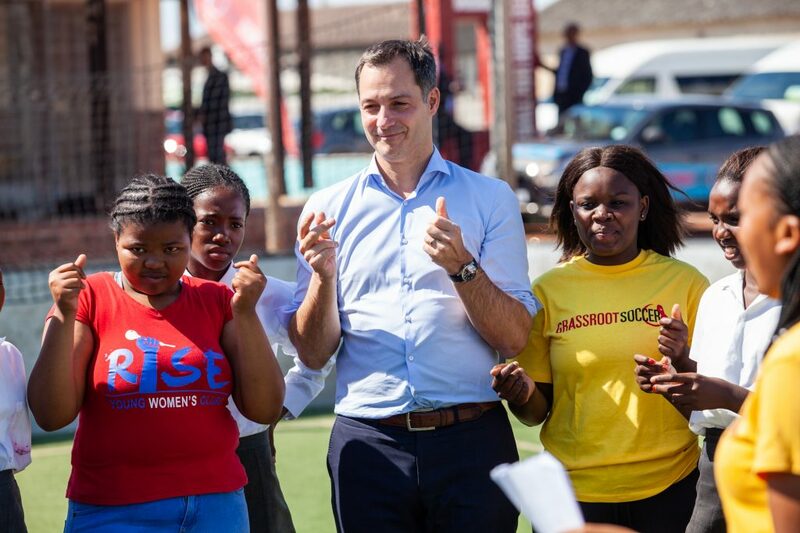 The day’s activities included a tour of the Football for Hope Centre, a demonstration of GRS programming, and a RISE Young Women’s Club gender-based violence (GBV) drama. 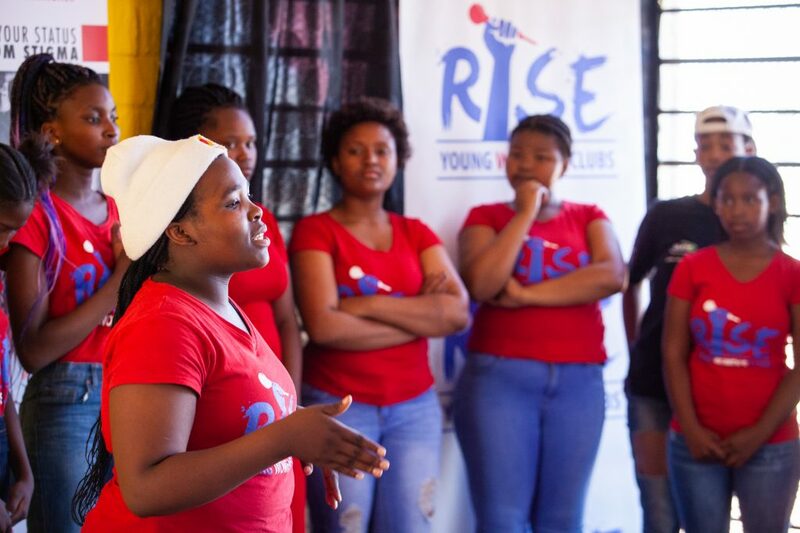 RISE clubs are spaces where girls hang out and talk about different topics, share stories and raise awareness about their human rights, facilitated and led by young women in schools where girls between 15-25 years old receive support, knowledge and assistance. 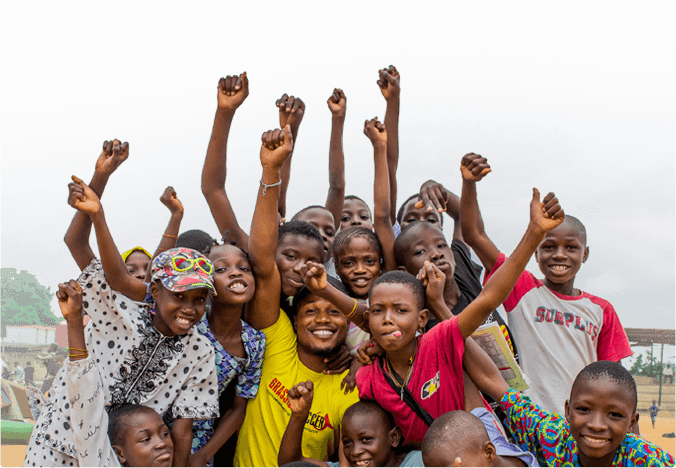 RISE Club activities include dialogues, dramas and songs based on gender equality and GBV prevention messages, amongst other activities. 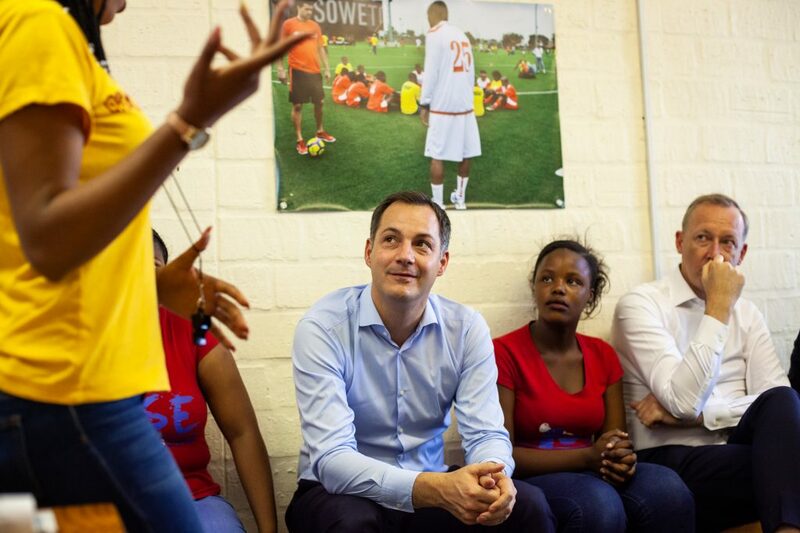 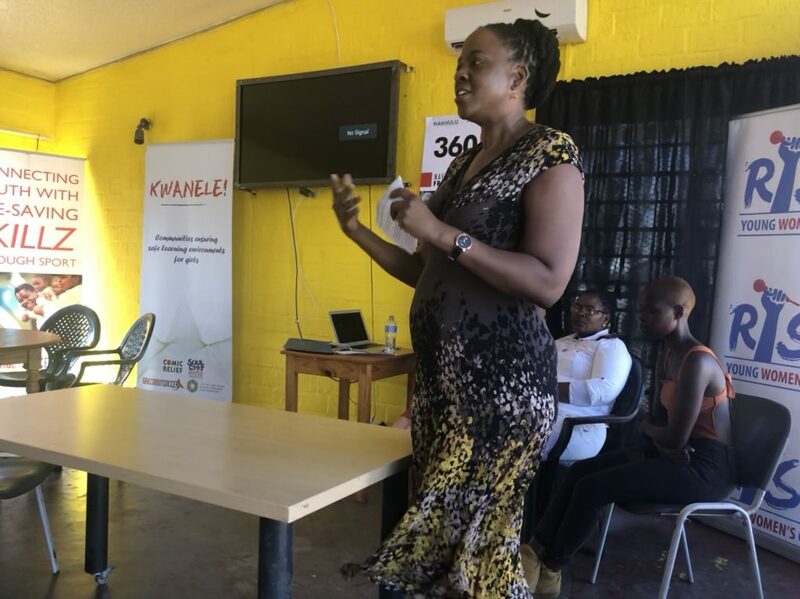 UNAIDS introduced the innovative partnership that has led to the development of 360HIV, a groundbreaking virtual reality tool, aimed at demystifying an HIV test. 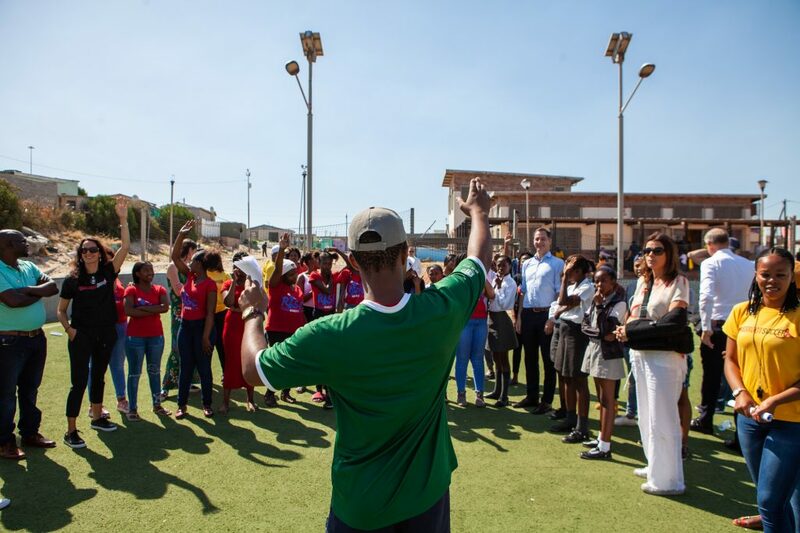 Dr. Sozi spoke of the “power of partnerships,” adding “we can go further together” by pulling together GRS’s SKILLZ youth-friendly work, the Soul City RISE drama, and technology. 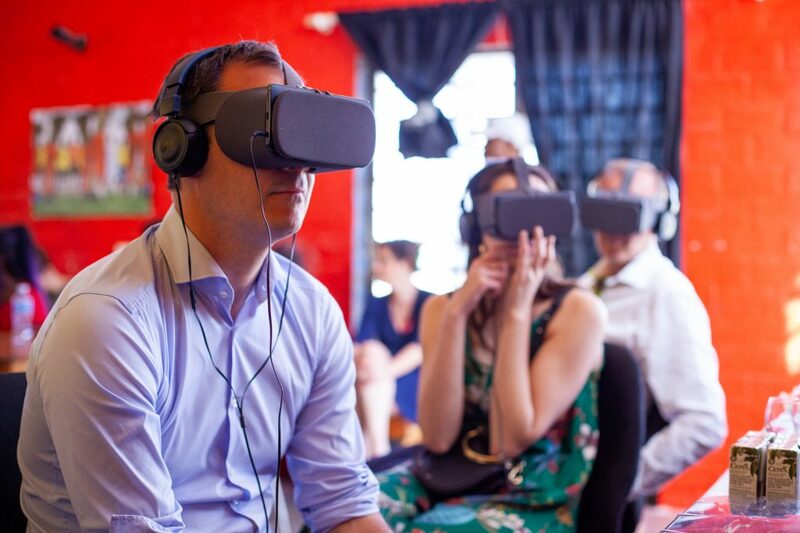 View the trailer featuring the project below – and continue scrolling for a vivid look at the day through the lens of Slingshot Media. 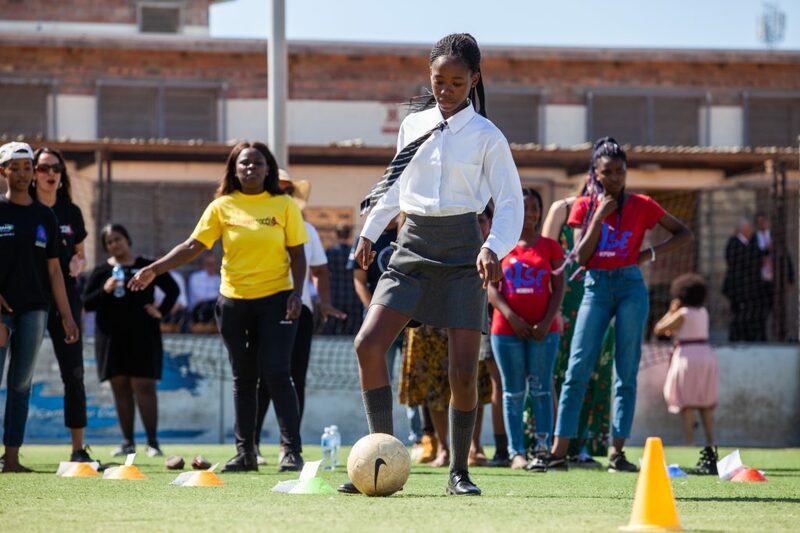 If you believe that every young person should have the opportunity to write their own story and be more than just another statistic, please consider a gift to Grassroot Soccer today in honor of World AIDS Day.